I am horribly horribly cheap. So, I never really buy any band merch and just sort of DIY it. 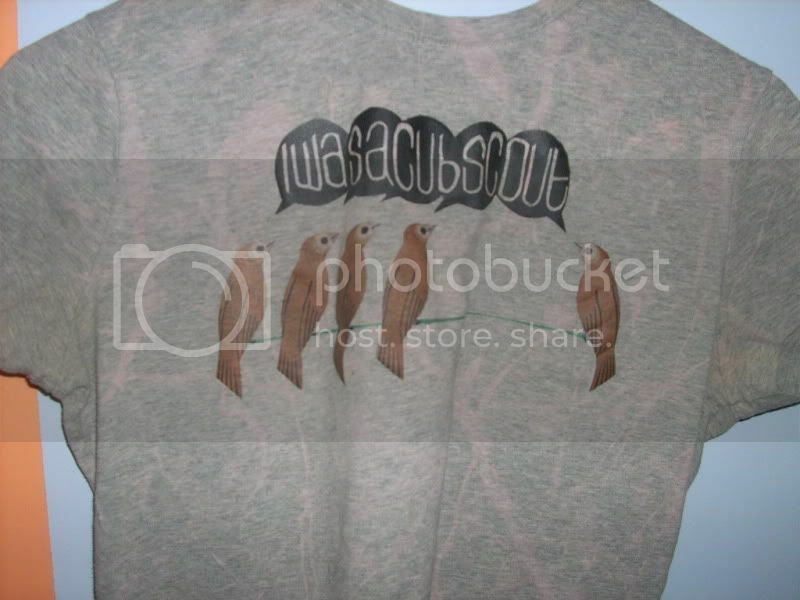 The bleach splatter painted / inkjet transfer IWACS shirt!!! wow.. thats really neat! looks professional. just like an original merch! I loved this shirt but hadn't heard of the band...so I YouTube'd it...loooving them! But yes, IWACS=amazing and impossible to not love. Nice job! Loving it. Where did you get the transfer paper from? Office Max...not to mention that it was on clearance! i'm exactly like you when it comes to expensive band shirts. all of my favourite bands are either unknown or european so i bought a 12-pack of transfer paper and made a few. i was wondering where you got that graphic for the t-shirt. did you find it on their website or did you make it via paint shop pro/photoshop/etc?